This tweak brings all the premium features to the original Deezer app. 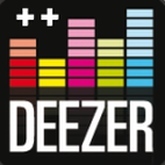 With Deezer++ you can stream though you favorite songs uninterrupted. Updated at: April 6, 2019, 11:48 a.m.